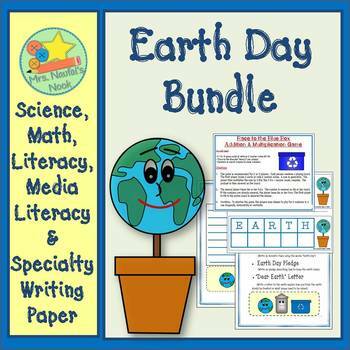 The "Everything Earth Day" unit ties in nicely with your Language Arts, Science, Media Literacy and Math curriculums. There are several ideas for large group, small group and individual activities. These include: sorting parts of speech, letter and poetry writing, oral communication activities, Science experiments, tips for Media Literacy and managing data from everyday garbage,compost or recycling materials. 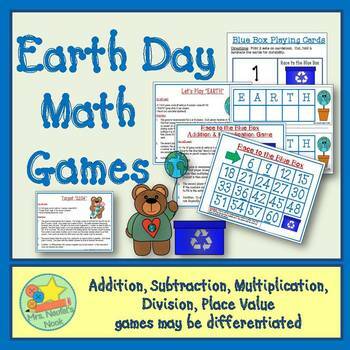 Earth Day Math games are a fun way to celebrate April 22nd. This package includes 3 games. The first game involves adding two numbers to generate a sum and then multiplying the sum by 3 (representing the 3 R's of recycling) . The second game involves using 3 numbers to generate an answer as close to 22 as possible (representing the 22nd). Students have the opportunity to use any of the basic operations to produce an answer. The final game involves place value. Students use 4 or 3 digits in the 1000,100,10 or 1's place to represent the number 2204 (for 22 April) or 224 (differentiated). Full instructions, game cards and playing boards are included. 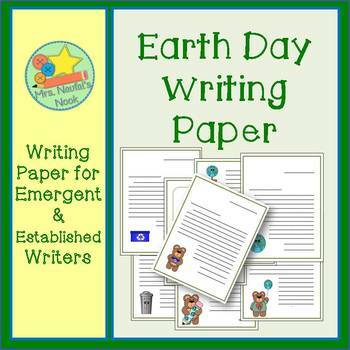 This package of writing paper contains friendly letter writing paper, emergent journal paper for half pages and full pages, as well as established journal paper for half pages and full pages with an Earth day Theme . 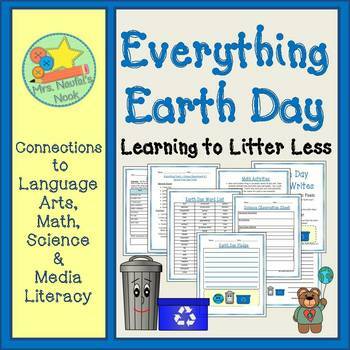 Images include a recycling bin, a garbage can, planet earth, bear holding an earth balloon, earth day pencil, bear holding a recycling box and bear holding the earth.